Texture rubbings are one of my FAVORITE things to do with my art classes-all ages LOVE to do this! It’s active, tactile and MAGICAL to watch the texture reveal as you rub over the surface! Such a fun way to learn about the element of art called texture! 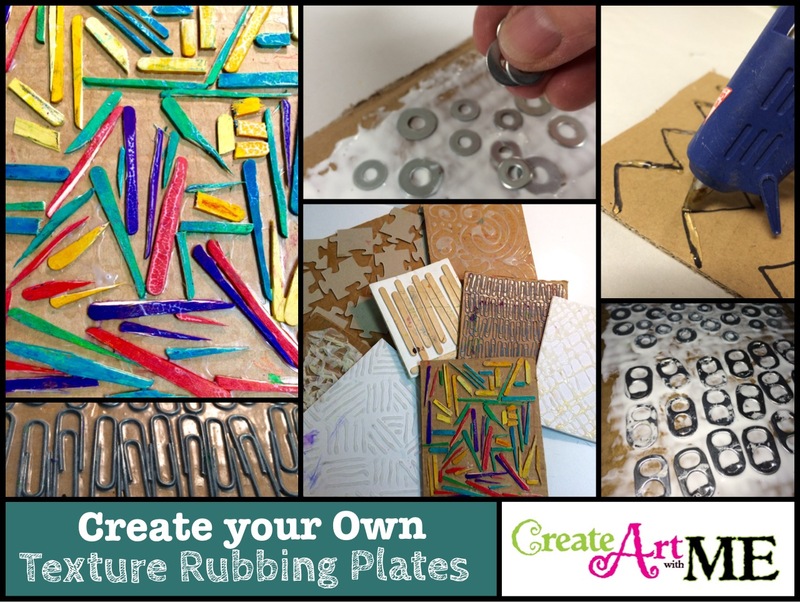 Purchasing enough pre-made texture plates can be cost prohibitive to a school’s budget, so why not make your own-it’s so easy! Man Made Objects: Paper clips, Popsicle sticks, coins, puzzle pieces, ceiling tiles, tooth picks, “O” rings, flat washers, soda can caps, the back of ceramic tiles often has an interesting pattern, etc. Natural items: leaves, sea shells, sand, etc. 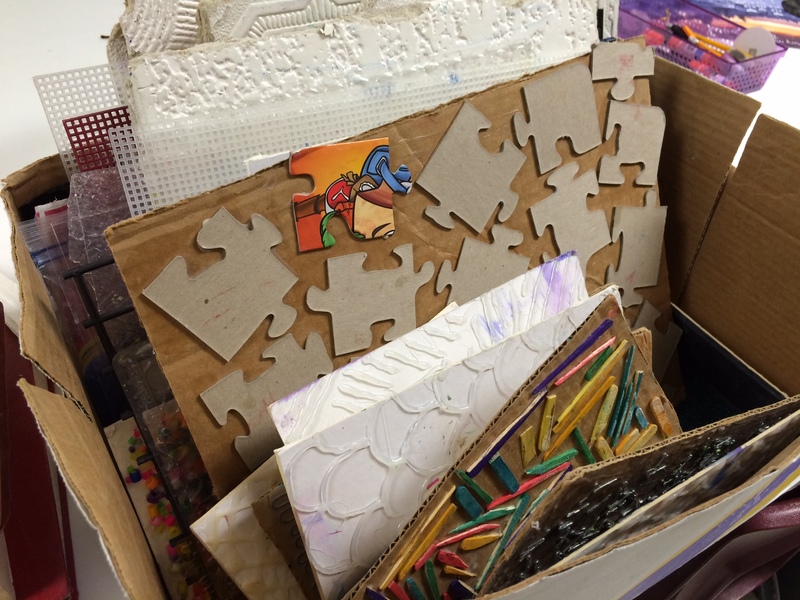 Draw pattern or design onto cardboard. Use hot glue gun to draw design. Try to keep it as even as possible. Hot glue works best for doing this because unlike Elmer’s or tacky glue, the hot glue will not sink down or spread out the design. Because the other glues take longer to dry, those glues will look like they melt. The hot glue will have firmer edges and the design will dry mostly like you “drew” it. Spread tacky glue all over the surface of the board. lay objects into the glue. What are some different objects you have made texture plates using? Please share with us in the comments below!! If you choose to use any part of this post (written, graphic or photo), please link back to my blog Create Art with ME-Michelle East. I love this idea. What materials do you have the students use once they have finished this and they start rubbing it on a paper?